It's hard enough to get games developers to open up sometimes, so the idea of getting console executives to talk freely about their time in charge seems like a pipedream. Somehow, it's happened. Podcast Unlocked assembled three generations of Xbox executives - original Xbox creator, Seamus Blackley, Xbox 360 lynchpin, Peter Moore and current Head of Xbox, Phil Spencer - and got them to talk about their time running the company. And boy do they talk. I've put together a list of the most interesting little tidbits to come out of the conversation above, but if you have any interest in the history of Xbox, or console development in general, listen to the whole thing - it's absolutely fascinating, with all three happy to talk about their successes and failures in equal measure. Apart from anything else, it's an illicit little thrill to hear men we're used to seeing spout corporate mush-speak from our computer screens start swearing - like stumbling onto Winnie the Pooh telling Piglet to f**k off. ...that was the only colour the designer, Horace Luke, had available after all his nice marker pens were stolen - at least according to Seamus Blackley. Apparently it was "the green nobody wanted". ...especially if companies don't believe it's a real product. Apparently, EA wanted to call Microsoft when Blackley arrived to talk to them to "make sure there was an adult" who knew about the idea of a Microsoft games console. That honour goes to Oddworld: Munch's Oddysee, the third in Lorne Lanning's belch-obsessed alien saga. Blackley also brought up Malice, the Gwen Stefani-fronted action-platformer - which Phil Spencer seemed to have forgotten ever came out at all. In fact, Jason Jones was apparently furious that Blackley had "screwed up his plan to make this awesome Mac game". I'm fairly sure he'll be OK with it now. Seamus Blackley apparently threatened to quit if the (hugely expensive) hard drive inside his machine was removed - but he also had to promise to stop complaining about the enormous Duke controller, which he despised. ...at least models of it, anyway. There's a wonderful moment (around the 11 minute mark) where Phil Spencer darkly mutters "we hated the [Xbox 360] Arcade SKU", and no one seems to notice. Blackley admits this could be apocryphal but here's his take on the genesis of the massive gamepad: "Somebody's, like, brother-in-law had an electronics design firm... and they had designed the internal circuitboard for a controller with the features we wanted... but the circuitboard was the size of a large dinnerplate." They shrunk it down as best they could - just not quite enough. Blackley might have promised not to complain about the controller, but that didn't mean he couldn't get others to do it for him. He secretly canvassed Japanese developers, and received so many requests for a smaller controller that he had to create an Excel spreadsheet. When Blackley arrived at the legendary developer's headquarters to talk about the Duke, it decided to show him the 40-button mega-controller for Steel Battalion. As he put it: "Wait, I'm canvassing you to make a smaller controller, and you're asking me to approve a desk?" On the topic of Capcom's mech-speriment, Moore brings up the fact that, if someone came for a meeting and he needed an extra chair, he would use the enormous Steel Battalion box. A bit of inside knowledge for you. 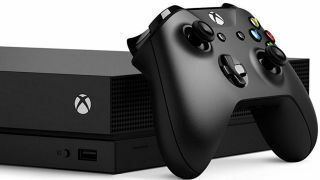 Microsoft's onstage gameplay demos are performed live - but that doesn't mean there's a contingency plan. If something goes wrong, someone backstage is playing the demo at an identical pace, and the feed is swapped. And if that goes wrong there's a video of the demo ready to play too. Apparently the internal term for this is "broken arrow". At the first announcement of the original Xbox, at GDC in 2000, a backup player was positioned under the stage, looking up through the floor. The original Xbox was designed all the way down the line alongside processor manufacturer, AMD. However, two days before the reveal, the decision was made to switch to Intel - and some AMD representatives only found out in the crowd on the day of truth. "I could see all the AMD guys looking like they're going to kill themselves", recalls Blackley. Moore's famous for his set-in-skin release date promise for Halo 2, but there's been hot debate as to whether it was the real deal. He continues to claim that it is - but wouldn't show it off during the podcast. So difficult that, when Peter Moore and co. were told they had several billion dollars for the Xbox 360 launch, executive Robbie Bach printed out (probably) fake $100,000,000 bills and told them to spread them around the room to better visualise how they would spend the cash. To plan for how to release alongside the PS3, Peter Moore recalls "wargaming" a scenario with the 360 team. He played Ken Kutaragi, with the sole aim of destroying the 360 launch. They failed to include Nintendo, who, as Phil Spencer puts it "destroyed both of us [Microsoft and Sony]" with the Wii. When Peter Moore went to the Microsoft CEO to explain that there needed to be a 360 recall after the Red Ring of Death problem, he was worried about the response. When he asked for $1.15 billion dollars to get it done, Ballmer said yes without a moment's hesitation. Xbox has always had a hard time out east. After the bafflement at the Duke controller, a rumour went around that the disc drive would slightly scratch discs as it ran - something Peter Moore says he thinks is down to "industrial espionage". Perhaps wisely, he won't say more on the subject. For the latest Xbox greatness, check out our list of the best Xbox One games.